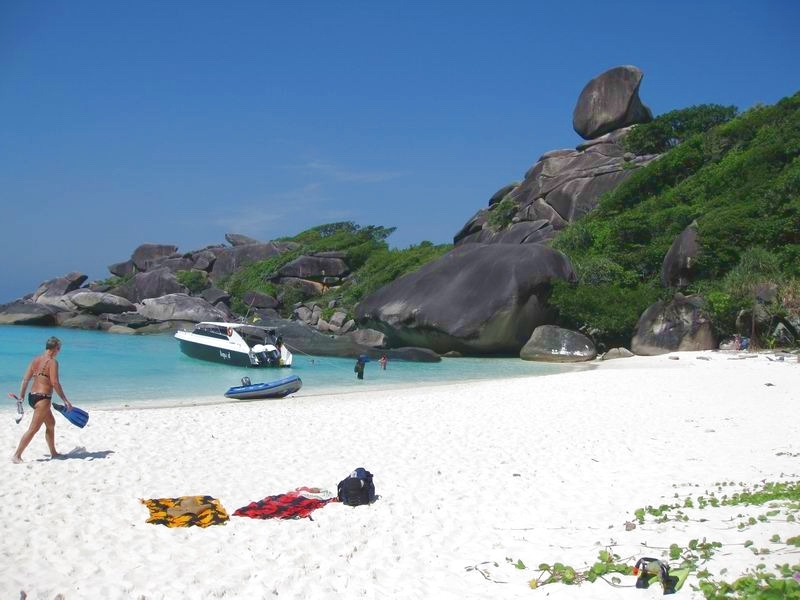 A long stretch of the Andaman coastline is casually referred to as, Khao Lak. The central shopping area is actually at the village of Ban Bang La On (close to Nang Thong Beach). The "original" Khao Lak beach is around five kilometers further south, after the headland where the Khao Lak National Park HQ offices are situated. In addition to the central hub at Ban La On, there are the less commercial areas of Bang Niang and Khuk Khak village where the camp is located, a couple of kilometers north. Today, Khao Lak is characterised by many kilometers of beautiful unspoilt beach coastline, (running north, past the headland, from the original Khao Lak beach), against a lush jungle backdrop, with highway route 4 threading its way effectively in parallel to the coast. Khao Lak is also a great base for some of the best Scuba Diving in the world and we highly recommend checking out our friends at Big Blue Diving if you are interested in diving while you are here!! In addition to diving there is also Horse riding, Elephant trekking an array of waterfalls, Mini golf, Quad biking and the world famous Khao Sok national park all within a short drive of our facility. For great Muay Thai,MMA and fitness training all within touching distance of these amazing things to do then come to Combat 360X Muay Thai and MMA camp now and take your chance to train in paradise!